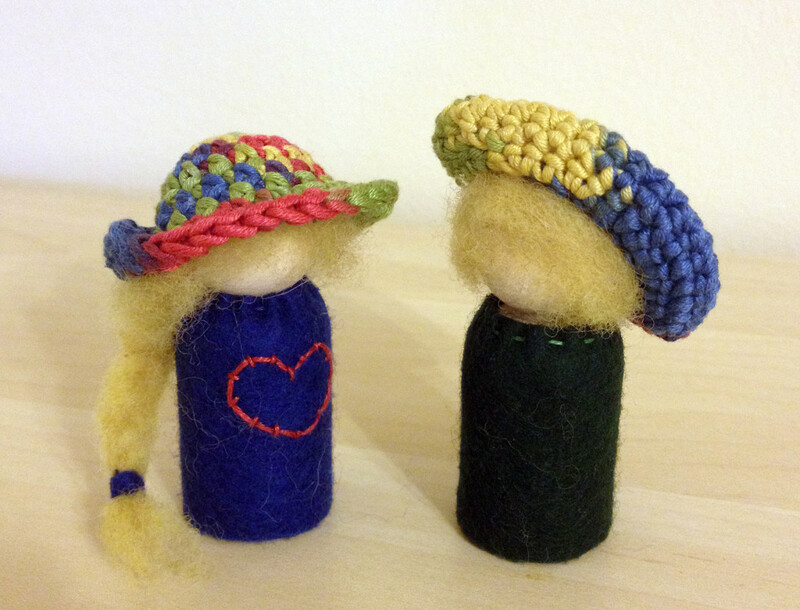 Felt peg dolls with crocheted hats. About 3″ high. 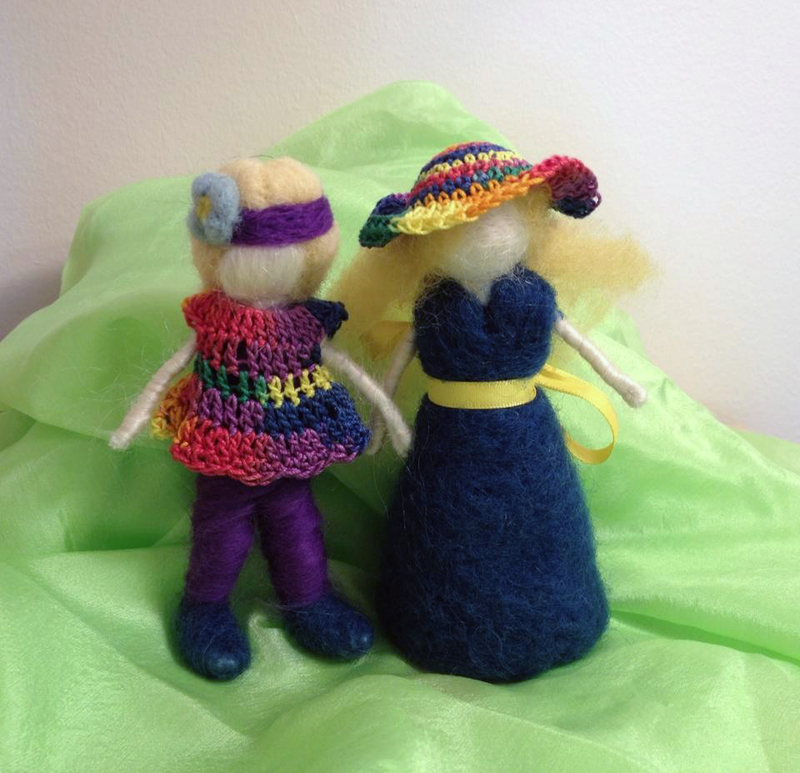 Two little felted ladies with crocheted dress and a hat. About 4″ high. 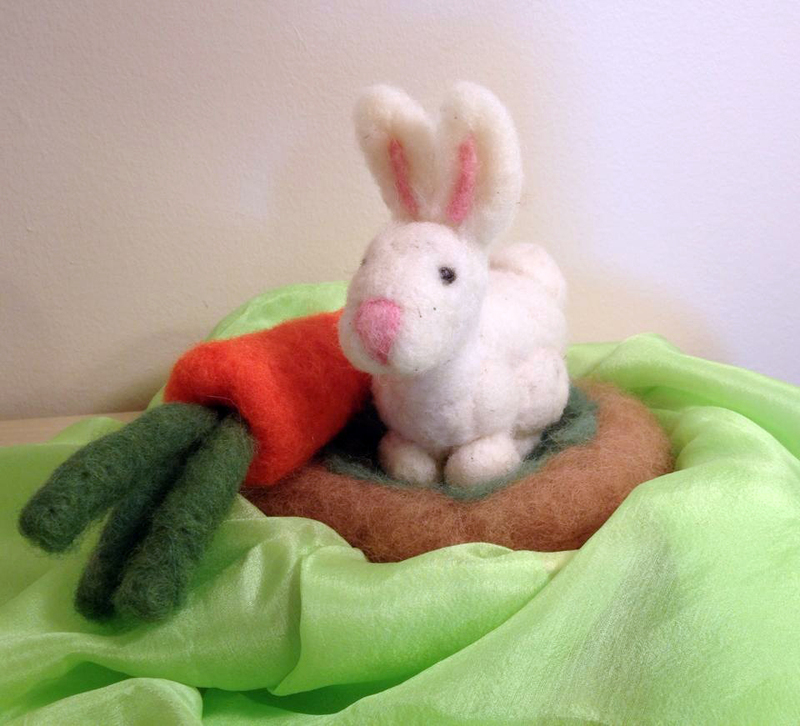 Bunny with a carrot made from natural wool felt. She is about 4″ high. 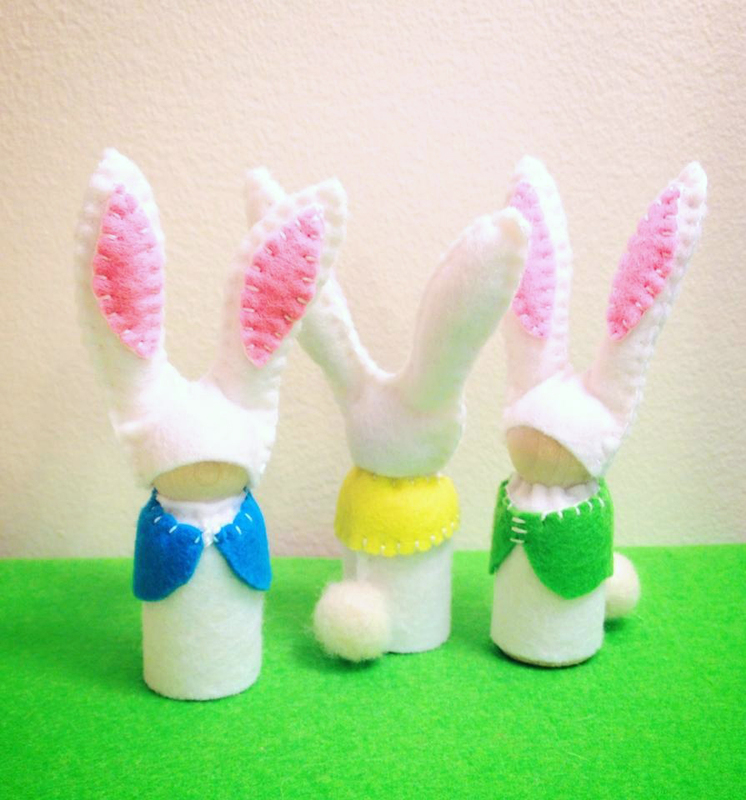 Little bunnies made from wooden pegs and felt. About 4″ high. 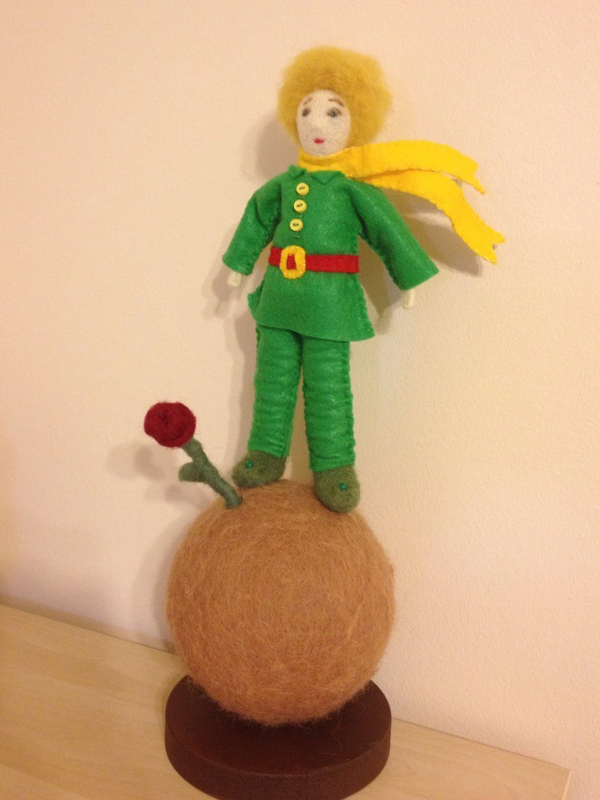 This is another version of the needle felted Little Prince. I’ve used felt sheets to make clothes for him. 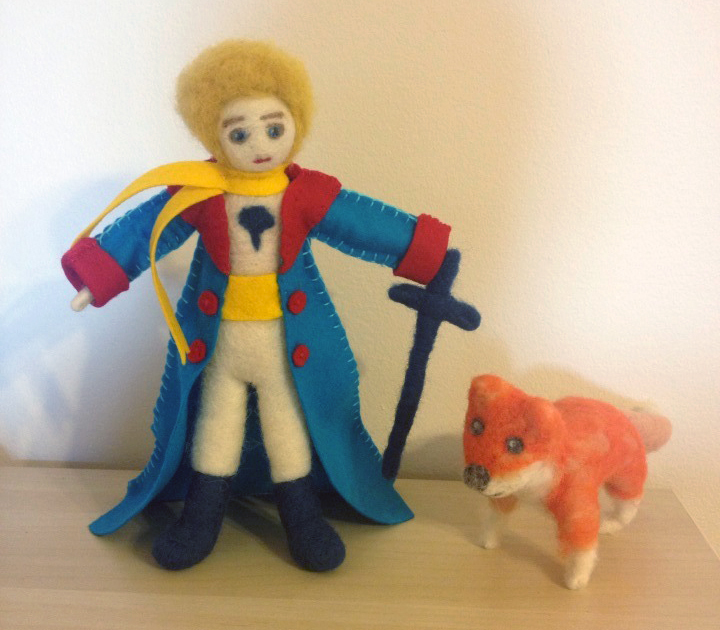 The Little Prince from felt. The statue is about 30″ high. 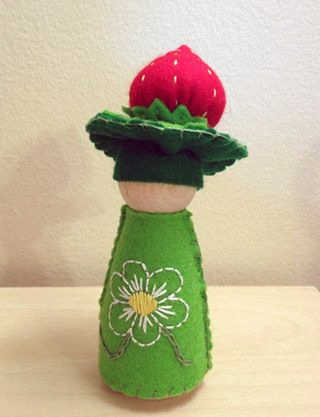 Small doll, about 4″ high. 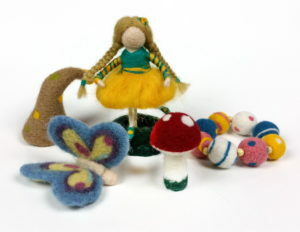 Small daffodil and tulip peg dolls made from felt and, well, pegs :). 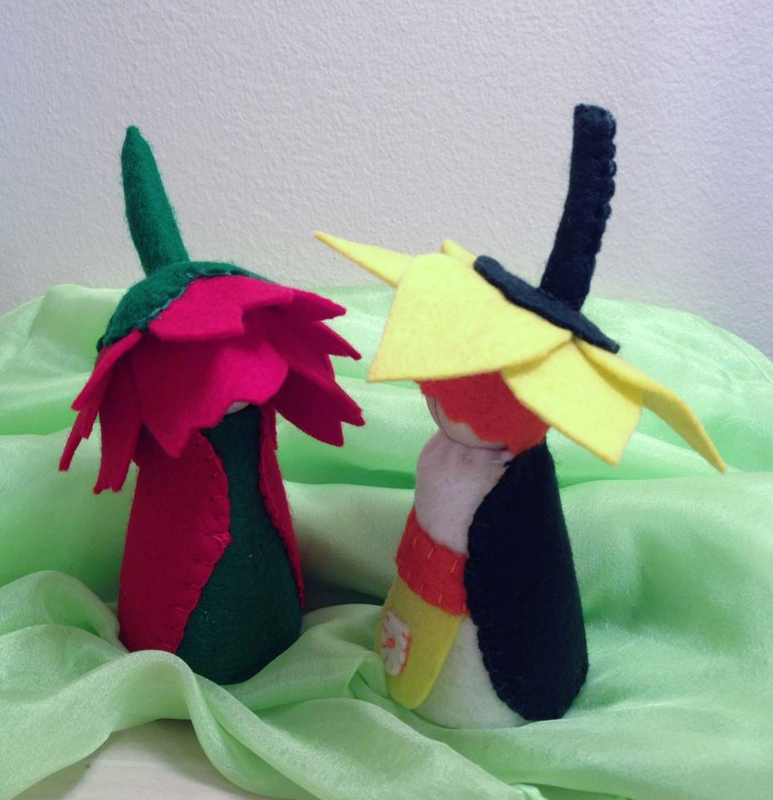 They are about 4″ high. 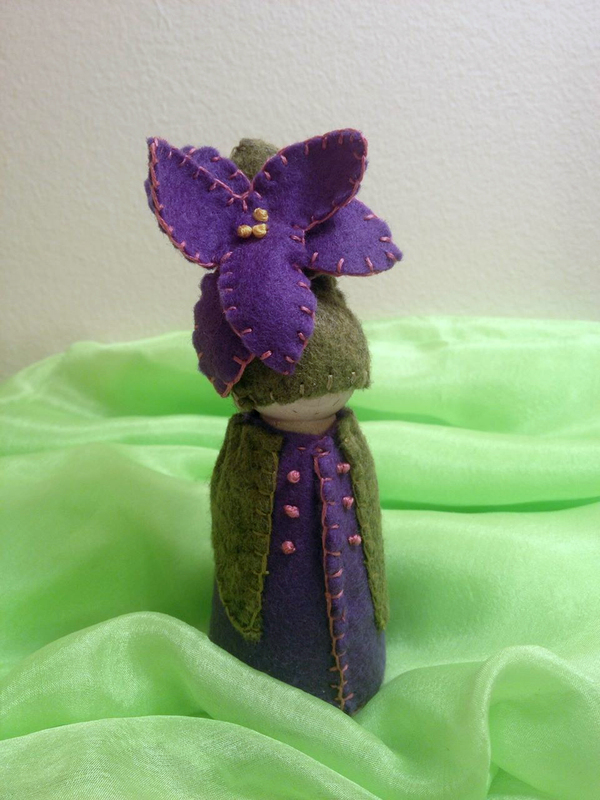 Little violet peg doll, about 4″ high.